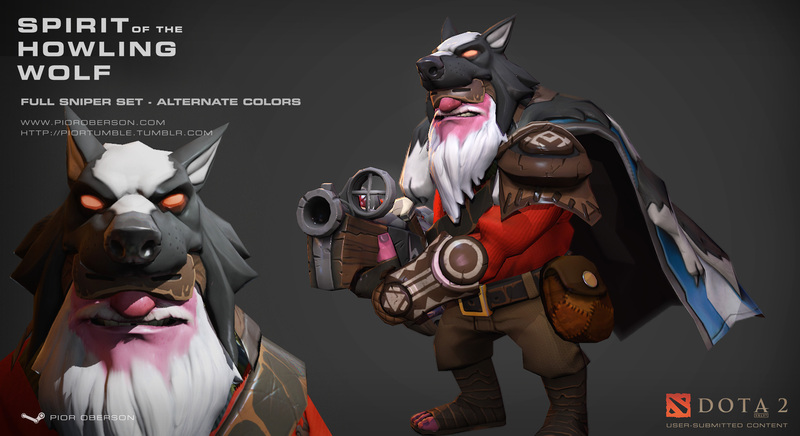 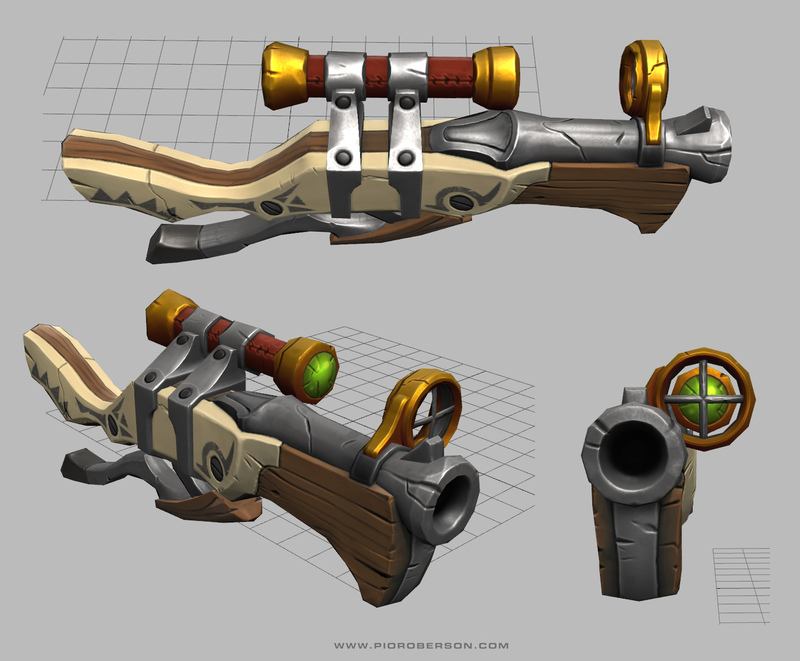 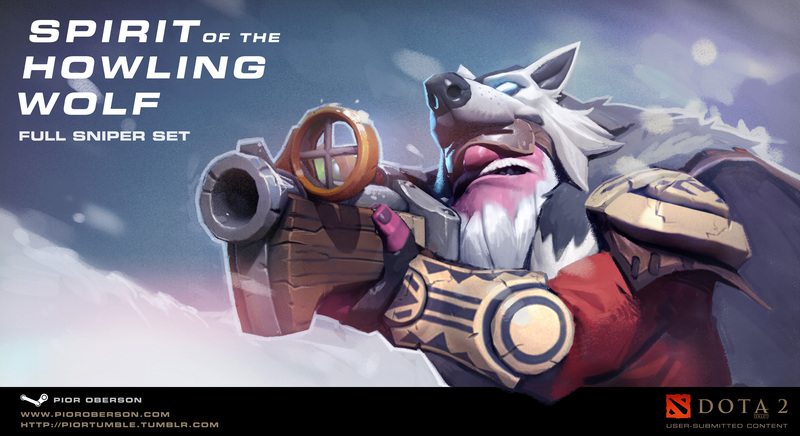 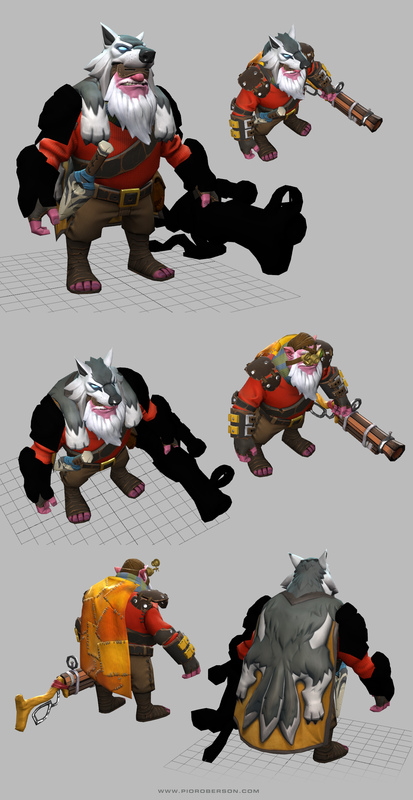 A Dota 2 set for Sniper. 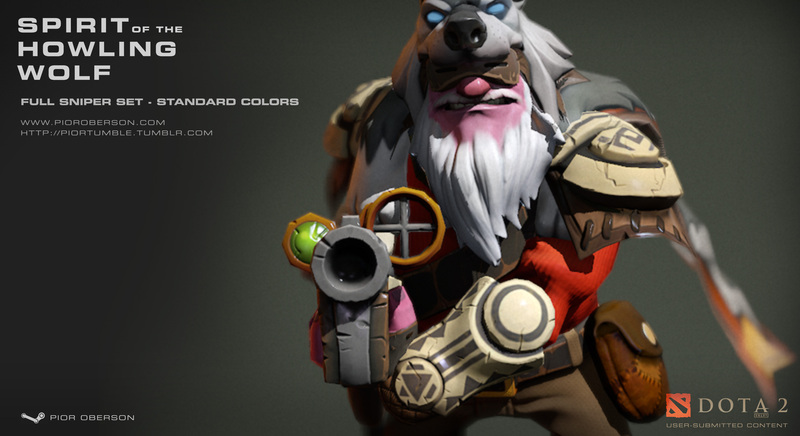 Shrapnel !! 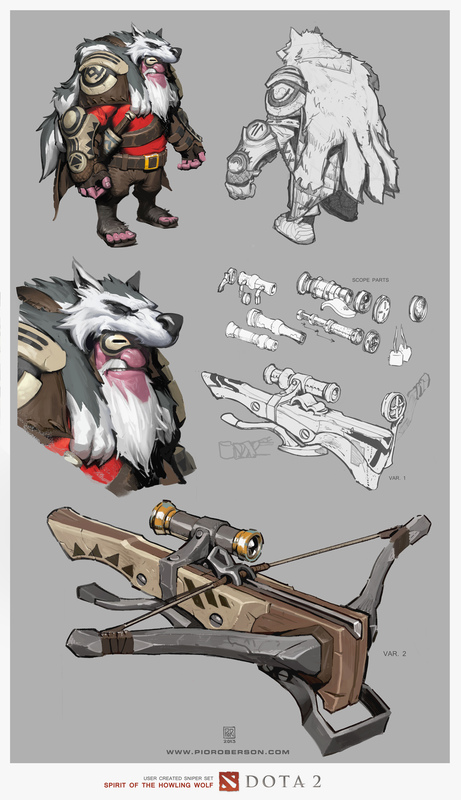 This is a one-man project. 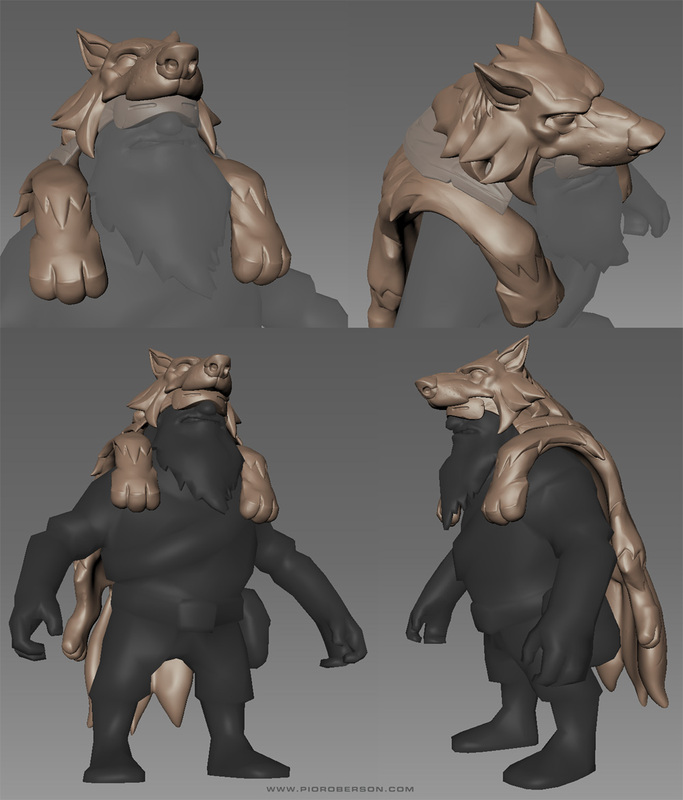 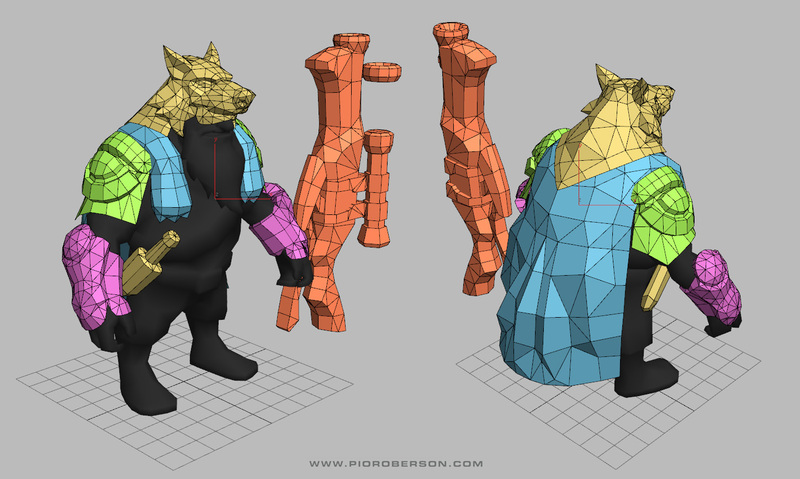 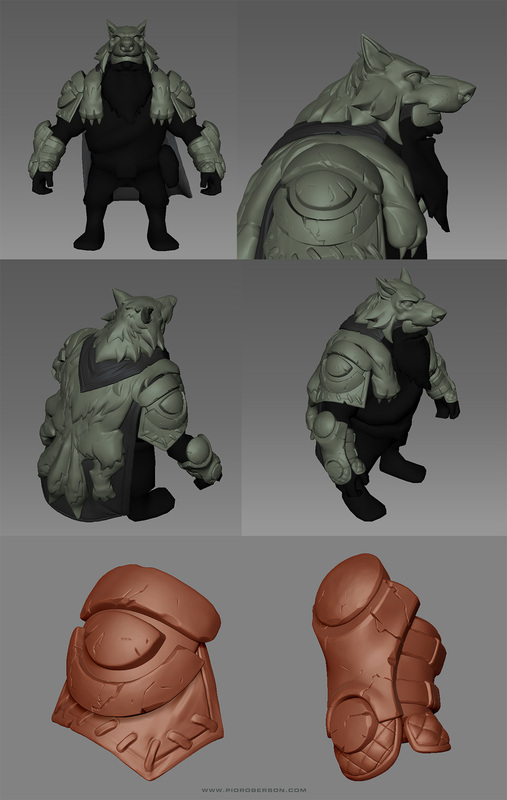 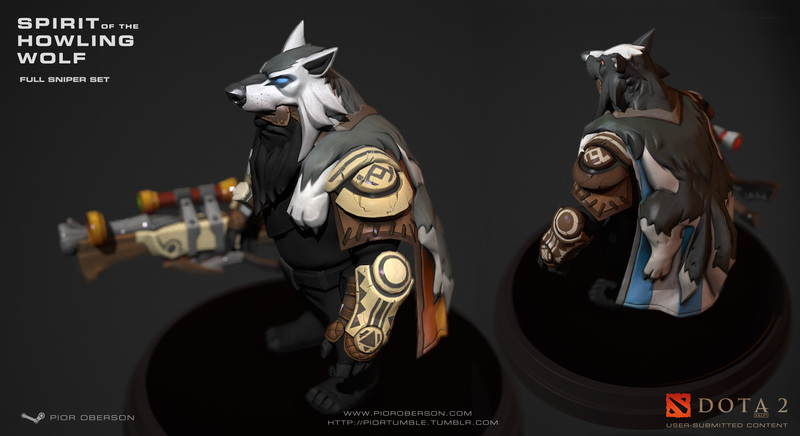 I took care of design, highpoly sculpting, lowpoly, UVs, texturing, rigging, export, illustration. 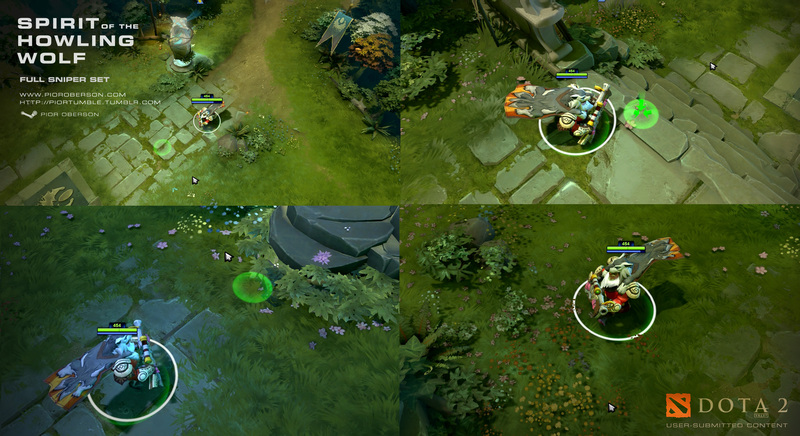 Each item of the set comes in two variants, bright and dark (Radiant / Dire). 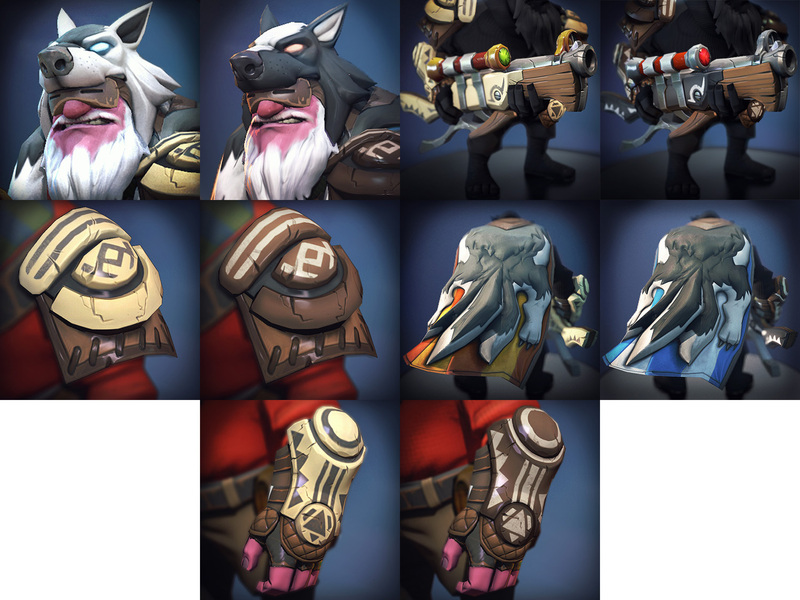 Valve has been gracious enough to implement both, meaning that the in-game set purchased from the store is fully customizable, with each item being switchable at will.